Ascending Butterfly: Be A Christmas Beauty with Borghese! 4 Winners! ARV $148 Ends 12/20! Be A Christmas Beauty with Borghese! 4 Winners! ARV $148 Ends 12/20! This giveaway is now CLOSED. Thanks so much to our wonderful sponsor Borghese! We look forward to working with you again! Borghese 4 winners! - Cura C: @evrywoman (Twitter winner), Fango Mud: Theresa L. (subscriber winner), Mascara: Kellye123 (GFC Follower winner), B Gloss Lip Gloss: Susan Said What?! (Facebook winner). At the end of the holidays buying guide, an official winners announcement for ALL giveaway winners in the guide will be posted on our homepage! Remember: There are great giveaways active on the upper right hand side of the page! Is there such thing as 'Deja Beauty'? While it may not be in Webster's Dictionary, I did recently experience it. And experiencing it makes it real right? Somehow Macy's seems to always play an important role in my favorite discoveries. And Borghese is no different! Quite a few years ago I took my Mom to Macy's for a Spa Treatment for Mother's Day and Borghese products were used. Afterwards, they also asked us if we'd like a complimentary mother and daughter makeover for Mother's Day. We were game! And we loved all the products used so much we bought them all. After Spa Treatments, Makeovers and Major Shopping, we were exhausted, and dinner was definitely in order. But all day we got numerous compliments on our makeup and our skin. And because the artist told us what she was applying and how each step of the way, I was easily able to re-create the look well afterwards, which doesn't always happen! I used Borghese products for many years, and for some reason just stopped. And then when I started blogging and trying out so many new products I had completely abandoned many of my favorites throughout the years. All for the sake of my readers of course! And when I received a box of goodies recently from Borghese it was literally 'Beauty Deja Vu'. I remembered all the reasons I bought all the products after my spa treatment and makeover in the first place, they are EFFECTIVE. period. And they also make beauty look effortless, and isn't that exactly what we want our products to do, make it look natural. Just with that 'natural glow' and something extra! 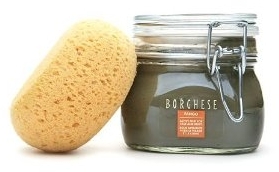 Ƹ̵̡Ӝ̵̨̄Ʒ - Italian Mud - Provides mineral nourishment and special absorbing action which rids skin of impurities. Ƹ̵̡Ӝ̵̨̄Ʒ - Acqua di Vita® Complex - Revitalizes skin, reducing the signs of aging. Ƹ̵̡Ӝ̵̨̄Ʒ -Natural botanicals that stimulate and improve skin tone. Ƹ̵̡Ӝ̵̨̄Ʒ - Avocado and Sweet Almond Oils - Moisturize and soften skin. Ƹ̵̡Ӝ̵̨̄Ʒ - Apply generously (about one quarter inch thick) to clean skin (face, neck and/or body). Avoid lip and eye area. Ƹ̵̡Ӝ̵̨̄Ʒ -Leave on for 5 to 10 minutes. Ƹ̵̡Ӝ̵̨̄Ʒ -Rinse off thoroughly using sponge or washcloth. A luxurious water-free body scrub formulated to eliminate dull surface cells while delivering Vitamin C to your skin, leaving it revitalized and moisturized. Formulated with Vitamin C, A and E plus CoQ10 and Beta-Carotene for anti-oxidant and nourishing benefits plus Shea Butter, Squalane, Sunflower Oil and Carrot Oil to soften and smooth skin. Ƹ̵̡Ӝ̵̨̄Ʒ - Gently hydrates and exfoliates to maintain skin’s balance. Apply a thin layer to wet or dry skin and massage gently in a circular motion, concentrating on the driest areas. Rinse with warm water. 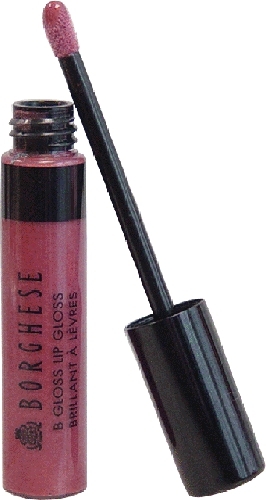 Lush, glossy colour accentuates lips providing high shine looks. Moisturizers deliver a soothing treat while our high style pigments add luminosity. Creme or Shimmer shades. Ƹ̵̡Ӝ̵̨̄Ʒ - Vitamins A and E deliver moisture. Ƹ̵̡Ӝ̵̨̄Ʒ - Avocado Oil, Jojoba Oil and Aloe Vera soothe lips. Ƹ̵̡Ӝ̵̨̄Ʒ - Wear alone for a sheer natural look. Ƹ̵̡Ӝ̵̨̄Ʒ - Use over lipstick for a glimmering accent. After one use of this thickening mascara, you will understand why it is called "Superiore." Infused with a built-in, silk-powder foundation for superior wear, delicate lashes are coddled in natural conditioners while providing smudge-proof, flake-proof coverage. Suitable for contact lens wearers and sensitive eyes. Ƹ̵̡Ӝ̵̨̄Ʒ - Provides extended wear. Ƹ̵̡Ӝ̵̨̄Ʒ - Lengthens, separates and curls lashes without clumping. Ƹ̵̡Ӝ̵̨̄Ʒ - Vitamins and protein add nourishing moisture and conditioners to lashes. Ƹ̵̡Ӝ̵̨̄Ʒ - Apply from base of lash to tip. Ƹ̵̡Ӝ̵̨̄Ʒ - To ensure continued purity, cap tightly and do not dilute. Ƹ̵̡Ӝ̵̨̄Ʒ - Replace all mascaras every 3-4 months to ensure hygiene. 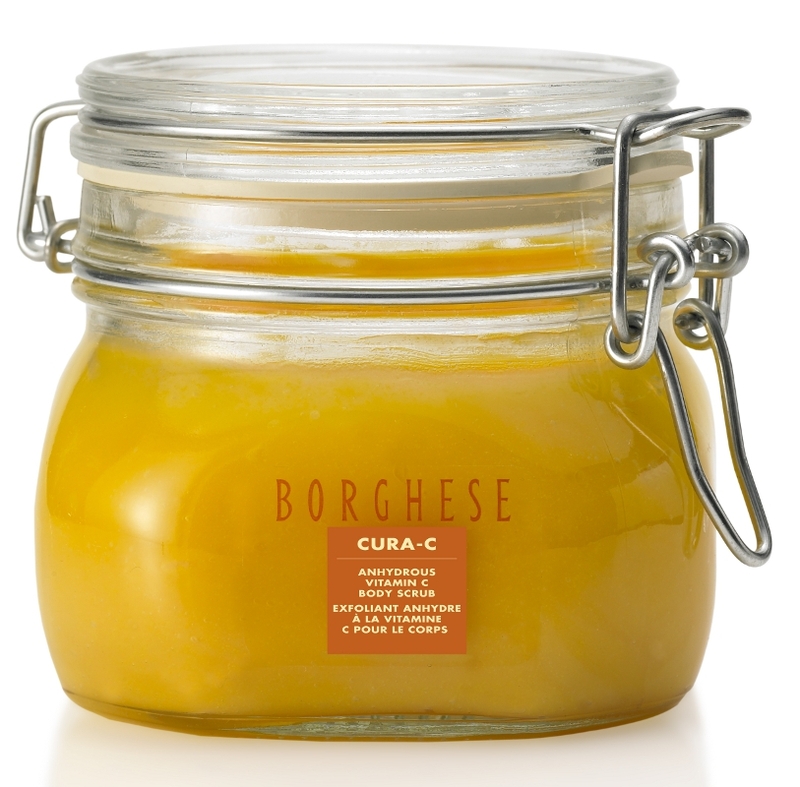 I am so happy be re-acquainted with Borghese! The Fango Mud Mask has always been one of my all time favorites, it's super effective and leaves my skin glowing and re-newed. So much so, that I rarely ever want to put a foundation on the day I treat myself to a Fango Mask! This was my first time trying out Cura C, and I will be adding it to my scrub rotation! Products that contain Vitamin C really do work wonders for my skin, and this left my skin feeling soft and smooth. I already knew I loved Borghese Mascara, and I know you will too! Ladies with sensitive eyes like mine, Rejoice! I am however a first timer to the gloss, but I have used their lipsticks quite often, and this gloss does not disappoint in any way, it's not tacky or sticky and I love to blend it with my favorite lipcolor! Ƹ̵̡Ӝ̵̨̄Ʒ - WIN IT! - Ascending Butterfly and our friends at Borghese, want to help you be a Christmas Beauty! ﻿﻿Don't you just ♥ Borghese? I know I do! Remember to leave a main entry HERE first! We are going to do a repeat of our 'speed response' to your winner confirmation, the first winner to respond to their email will receive Fango Mud, the second will receive Cura C, the third winner to respond will receive the Superiore Mascara, and the final winner to respond will receive the B Gloss Lip Gloss! Ƹ̵̡Ӝ̵̨̄Ʒ - How to Win: (1) You must be a PUBLIC follower of Ascending Butterfly to be eligible for this and all giveaways. Indicate in your entry that you follow (if your 'comment name/user id' differs from your profile id, please let me know what name you follow under) and (2)MANDATORY entry- Visit Borghese Cosmetics and link us to something you like! - Do NOT Post the URL to any of the review items. (3) You must also leave your email address somewhere in your comment. (You can format it this way for security, example: ascendingbutterfly AT mail host DOT com). (If your email is clearly visible in your profile, you can just say so, that's OK!) Please follow the easy 1, 2, 3 steps to winning (or in this case, the A,B,C’s of winning!) This giveaway is open to USA residents who are 18 years of age or older. No PO Boxes. On Christmas Eve, we go to a children's mass, come home and have hot toddies, and open one gift! and I linked it back here!! I voted a t Its Thoughtful, my number is 56! The night before christmas, we stay up, and at midnight unwrap one gift each. favorite Christmas is taking the kids out to see the Christmas displays in the neighborhood! The night before Christmas when all the house not a creature was stirring but me LOL putting out the gifts, setting out the cookies and candies and then I make a cup of coffee and relax with a few of those yummy treats. My night before Christmas ritual involves leaving cookies and milk out for Santa and then eating them when I stuff the kids' stockings! I've used Fango for years and years and I love it. Borghese's mascara is the best I've ever tried, also. My night before Christmas ritual is to cook a huge spread for the extended family and exchange gifts. Following Borghese on twitter @rusthawk. Our favorite pre-Christmas ritual is to decorate our Christmas tree with sweet clementines or tangerines and with chocolates wrapped in colorful aluminum foil. I follow @BorgheseBeauty on Twitter (@CKhalaj). I entered the Runes of Riches giveaway. Their Holiday Gifts set are the best anywhere I want the .. I shop until security make me stop on Christmas Eve.. They sound very well designed and effective. I follow Borghese on twitter @Aerated. I entered the Layla Grayce giveaway. I "like" Borghese on Facebook (catalina khalaj) and left a comment on their wall, stating I was sent to their page by Ascending Butterfly. I joined your New Community Group (as Callina). 12/15: Voted for you on Fuel My Blog. I entered your Energy Muse giveaway. Voted for your gift idea on Itsthoughtful (vote no. 41). I entered the Layla Grace giveaway. I would also like to try the Mud Mask for Hair.. So many great shades from which to choose. Our favorite "Night before Christmas ritual" is sprinkling "magic reindeer food" on the lawn. My oldest is in college now (and my youngest just turned 13!) but they still ask to do this every year! I now follow Borghese on Twitter. Over 700 fans -- pretty great! I Like Borghese on Facebook and left them a message that A.B. sent me! I follow. magic5905 http://borghese.com/product_detail.cfm?c=b&cat=21&pid=470485. Thanks. in color Sensuale Sage is something I love. following this blog on google as jhb. I entered the Smoothie Blender giveaway. I would like to try the soothing tonic. I like the Shampoo Purificante. Cristmas eve we gather around for a traditional fish dinner. Then we sing songs at the piano. At midnight we open gifts. It's fun. I'm a GFC follower. I would love to try the Sali Esfoliante Salt Scrub! On Christmas eve we bake cookies for santa and open up one present each then we just snuggle in mommy's bed and watch movies.